At Austin School of Film, we do summer camp a little different! Our award-winning summer camps lay the foundation for students ages 5-16 to explore & create within film, art, and creative technology. Camps range from areas such as: filmmaking, stop-motion animation, digital animation, motion graphics & after effects, video editing, photography, sfx make-up and more. All camps are specifically designed for each age range and implore hands-on education and project-based learning. 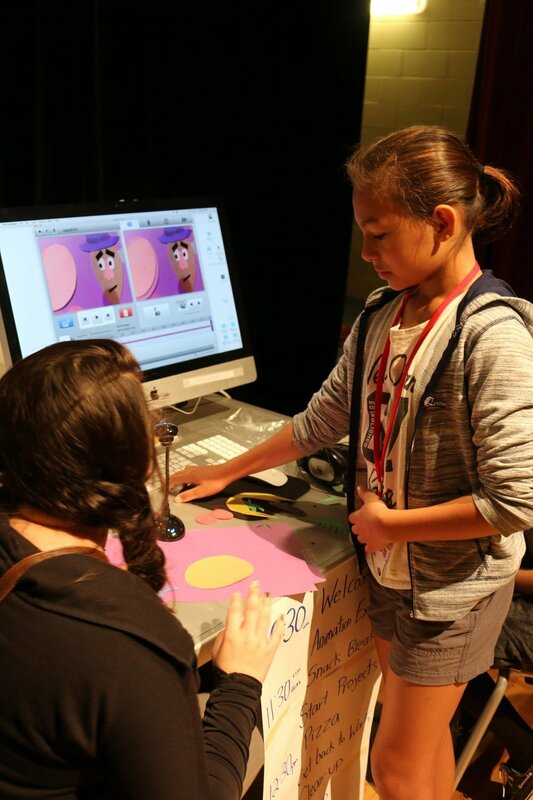 KIDS CREATE (ages 5-7 years old) day camps are uniquely designed for young children to explore visual arts, media creation, filmmaking, and animation, offering exciting range of media arts experiences for your child. Led by experienced industry professional artists, they offers children the chance to create their own films, explore the vast world of animation, capture their imagination through the art of photography and more! Our camps engage the young generation of creators in learning & exploring their world through the arts in a supportive learning environment. Our award-winning MEDIA MAKERS (ages 8-16) day camps lay the foundation for youth to explore all creative aspects of film & digital arts over the course of two weeks, with a uniquely designed project-based curriculum for true hands-on learning that encourages teamwork and collaboration. Students work with real equipment alongside industry professionals, learning technical skills in production & post-production. Our programs are known for producing award-winning youth films, with screenings at: Guggenheim Museum, AFI Film Festival, Chicago International Children's Film Festival, The Austin Film Festival, Austin Youth Film Festival, SXSW, Nashville Film Festival, and more! All films & creative projects completed in our camps will screen for the public as part of our annual Loud & Clear Youth Film Festival at Alamo Drafthouse in August 2019. All camps are 25% off for until December 20 @ 5pm as part of our 12 DAYS OF CLASSES series. That’s 20 camps!